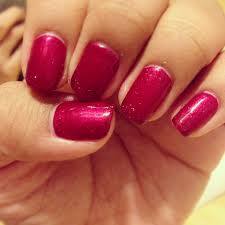 The world of fashion industry has been going gaga over the latest Shellac Nails Gold Coast. The newest product has already roped in fashionistas, stylists, corporates and even regular beach mongers. Recently titled as “Super Polish” shellac nails is basically a product to apply on nails consisting of nail polish and gel. It does not get chipped, scratched or smudged for at least 2 weeks. Shellac has certainly lived up to its expectations and it has been recommended by many women who claim that their nails have grown stronger and smoother after applying the product. What makes Shellac better than former polish manicure? The process of evaporation dries the nail polish and hence it takes a lot of time. But Shellac nails are cured under Ultraviolet rays for a couple of minutes and you are absolutely good to go. The earlier procedure to apply Gel Nails used to be a tedious and lengthy one and involved additional processes like putting nails under electric nail file for smoothening. Shellac Nails have totally changed the game. A simple, short procedure does everything within minutes… just like magic. A coating below; a coating above; put the hand under Ultraviolet radiations for few seconds and Voila! It is done. How is Shellac nails better than fake nails enhancements? Shellac nails do not use any kind of drill. Also when removed, one does not get no dry, torn or thin nails. Why choose ICS hair and Beauty Salon? Many fashion stores are offering various imitations of Shellac but at ICS, you are guaranteed 100% original Shellac Nails Gold Coast. We offer a huge range of best of the brands of Shellac Nails Gold Coast. We always have the newest colors and styles in stock. We are never short of newest gel colors in Shellac Nails. In surfers’ paradise, Shellac Nails Gold Coast are the newest rage and we are under huge demand from our customers which is a proof of our efficiency. ICS hair and beauty salon guarantees 100% customer satisfaction. Some girls have even went out with shellac nails for even a month, only to return when the new nail had started to show up. When developing this new technology, the researchers put in a lot of efforts and skills to get this perfectly right. 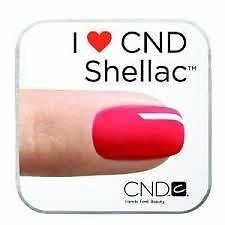 CND Shellac Nails claim to invest their sources in researching about this technology. ICS Hair and Beauty Surfers Paradise proudly claim that we too use products prescribed by CND Shellac Nails. The procedure of Shellac Nails Gold Coast with us is available at the cheapest rates. We are also accommodating when it comes to charging our customers. We also prefer to give appointments to our customers as per their schedule and not by ours. We are that easy! Mail us or Contact us at 0416 667 689 if you have any queries from us regarding Shellac Nails Gold Coast. We take immense pleasure in answering our customers.